High performance paper for full colour printing on laser and inkjet. 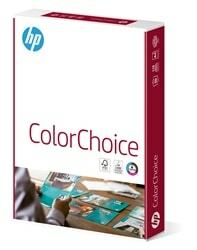 HP ColorChoice offers strong, living colours and deep blacks. It is bright white and super smooth for a uniform toner sheen, ideal for sharp typography and colour contrast.